These days, tech company launches are an exercise in box ticking. Google's 2018 launch event was a piece of corporate theater, like so many before it, to unveil a new smartphone. I've watched and attended a lot of product launches in my time, dahlink, but this one was the least engaging for ages. Not because of the products, or the presenters, but because it lacked one key ingredient: surprise. I'm aware of the irony, having written enough stories about unannounced products found in supply chain leaks and code discoveries. But that doesn't mean that I'm not still personally sad that there are no more moments of surprise and delight that used to be commonplace. It's not as if there's a single culprit, either, more a collection of reasons why the spark has fizzled. For a start, everyone's a lot more switched on than they used to be, and technology has swallowed the mainstream whole. The oddities of component supply chains and Chinese manufacturing companies are now fair topics for front page coverage. And that means that it's a lot harder to hide a new device in plain sight. The Pixel 3 XL left in the back of a Lyft was papped by the driver who could spot the unreleased phone at sight. And, forgetting their moral and contractual duty to their passenger, took pictures of the damn thing anyway. Human error, too, can be a part of the problem, because foul-ups at Google's suppliers saw handsets delivered to retailers early. Which is how Engadget was able to get serious hands-on time with a Pixel 3 XL the weekend before the phone was announced. Ever since an iPhone 4 prototype was left in a bar, everyone's on the lookout for new tech. Then there are the companies who are so desperate to own the news cycle that they're not too fussed about the leaks. I won't name names, but some businesses time and orchestrate their leaks as part of the hype cycle for new devices. Sadly, whatever the benefit of this drip-drip of information, it leaves the stage portion of the announcement feeling hollow. 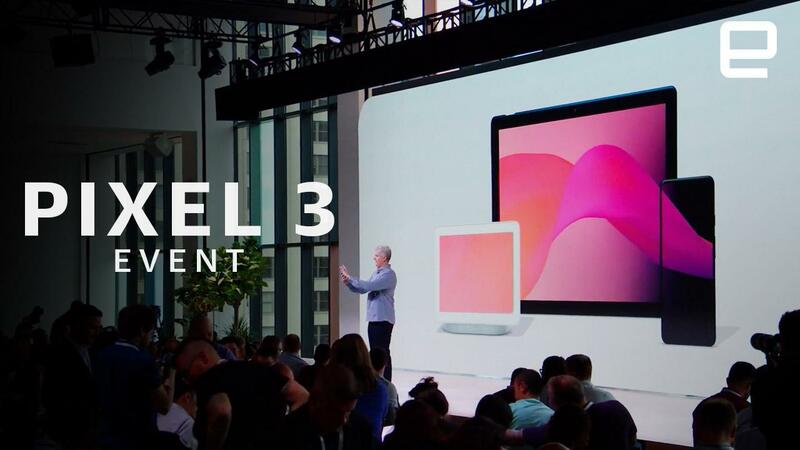 I don't know if Google was behind the leaks -- I doubt it -- but it did lean in on how botched the Pixel 3 launch was. The event opened with a sizzle reel of clips all talking about how much had already been made public. 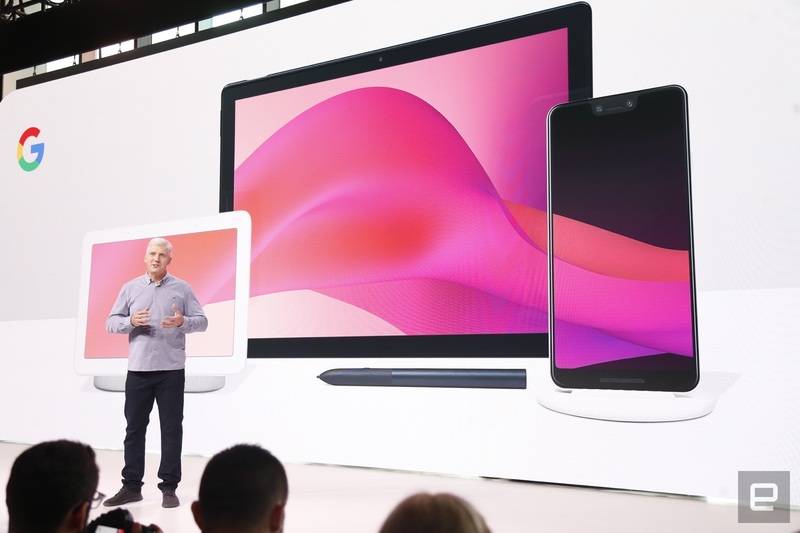 In one way, it freed the company to place more emphasis on its other products; the Home Hub and Pixel Slate. Putting the Pixel 3 last kept people watching, and also let executives focus on the phone's key features: the camera and Google Assistant. But it sapped the event of much of its energy, becoming more of a procession of box-ticking than a sales pitch. Hardware innovation has tailed off as well, and every Android phone is now very similar. The Pixel 3 uses the same Snapdragon 845 that you'll find in the Galaxy S9, Note 9, OnePlus 6, G7 Thinq and Xperia XZ2. And a lot of these phones use the same set of Sony camera sensors, dimming their individuality even further. Don't even talk about all the phones that suddenly acquired notches despite not requiring one to house a FaceID sensor. These days, picking a phone is more about brand loyalty and custom software benefits than anything else. It means that really delightful surprises are thin on the ground, especially with so much bandwagon jumping that the industry does. After all, Google and Facebook unveiled their own broadly similar attempts to build an Echo Show on the same day. On a practical level, an event without surprises makes life a lot easier for the company and those watching it unfold. On an emotional one, it's hard to be as excited by the future if we already knew what was coming months ago. Let's hope that, next year, or the year after, Google can cook up a moment that was as breathtaking as, say, when the Moto X or Nexus 7 was unveiled.